Yes, the story behind the Bair Hugger is interesting. It also outlines it one potential flaw. The company that manufactured the Bair Hugger was started back in the 1980s, but the anesthesiologist who is credited with creating the product jumped ship back in 2002 because of “creative differences” with the board of directors. A few years later, he creates the “Hot Dog,” which is essentially a new and improved Bair Hugger. In the mid-2000s he starts writing to his old company, claiming that the Bair Hugger (which he designed, mind you) is dangerous. The risk? Apparently, the hot air produced from the Bair Hugger interferes with the filtered cool air in operating rooms. As we knew from 3rd-grade science class, heat rises. So when air escapes from the Bair Hugger, it collects below the operating table then rises to the top, taking any bacteria along for the ride. The inventor suggests that this bacteria-riddled warm air can then make its way into open wounds and incisions, causing infection. When the architect starts to bring all of this information out, 3M and its subsidiary company, Arizant Healthcare claims that the inventor is just trying to smear his old company. They also point to the timing of his allegation, suggesting that it probably has something to do with him introducing a competing product. They even sue him for slandering the name of his ex-product and ex-company. For the record, the medical products industry is not usually this dramatic. A few studies come out allegedly refuting the inventor’s claims, but 3M and Arizona simply cannot deny the fact that these side effects are happening. 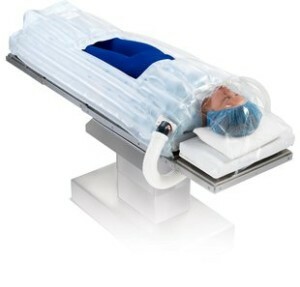 Typically, those who underwent a joint surgical procedure, such as a knee or hip replacement are at greatest risk of developing a Bair Hugger related infection. Lawsuits involving the Bair Hugger are so new at this stage that it is tough to tell who has a claim and who does not. However, if you underwent knee or hip surgery and developed an infection requiring treatment or additional surgery, you may have a claim. Lawsuits against 3M and Arizant are likely to allege that the manufacturers had notice regarding the potential for infections when it came to their Bair Hugger product. They should have warned patients and medical providers about the risks, which is something that they simply neglected to do. Our firm is currently taking a look at Bair Hugger infection cases. If you underwent knee or hip surgery and had to undergo subsequent treatment or subsequent surgery for an infection, call us at 800-553-8082 or get a free consultation.